Welcome to the monthly e-bulletin of the South Asia Media Solidarity Network (SAMSN). The next bulletin will be sent on February 15, 2016, and your inputs are most welcome. January has seen a worrying number of media workers killed in South Asia, with nine murders in less than one week in Pakistan and Afghanistan, putting South Asia at the top of the global tally. On January 16, Muhammad Umar, a local journalist in Khyber-Pakhtunkhwa, was killed when he was shot by unidentified gunmen. On January 19, also in Khyber-Pakhtunkhwa, Mehboob Shah Afridi, a journalist with Aaj TV was killed in a suicide bomb attack. Read more here. The deadly attacks in Pakistan, were followed on January 20, with a suicide bomb attack on a civilian bus carrying at least 30 media staff of the TOLO TV-owned Kaboora Production. Seven media workers were killed in the blast. According to reports, seven members of the Kaboora Production, which produces content for TOLO TV, Lemar TV, Arman FM, Arakozia FM and TOLONews of the MOBY Media Group, were killed when the bus was targeted in the bomb attack at 5pm at Darul Aman Road in south western Kabul. According to reports, a suicide bomber rammed a motorcycle into the bus before detonating a bomb. More than two dozen others, including women and children, were injured in the attack. The Taliban claimed responsibility for the attack. It has previously threatened TOLO TV in October 2015. Read more here. The IFJ and its affiliate express condolences to the families and colleagues of the victims and demand action from the respective governments to guarantee journalist safety. 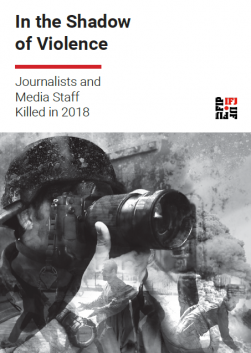 Last year was another deadly year for journalists and media workers worldwide, The IFJ 2015 list names the 109 journalists and media staff killed across 30 countries, together with 3 who died of accidental deaths. It marks a small drop from last year when 118 killings and 17 accidents were recorded. This year, the killing of journalists in the Americas topped the toll, at 27 dead. For the second year in a row, the Middle East comes second, with 25 deaths. Asia Pacific comes third, with 21– a drop on last year due to the big fall in violence in Pakistan. Africa is in fourth place with 19 dead, followed by Europe with 16. 2015 was marked, in particular, by an increase in targeted terrorist attacks against journalists. To download the IFJ List of Journalists and Media Staff Killed in 2015 in interactive PDF, click here; for more information, click here. Later this month the IFJ will launch its annual Killed List report, for more information contact Alex Hearne (alex.hearne@ifj-asia.org). The IFJ welcomes the convictions and sentencing on December 31, 2015 of eight persons involved in the murder of blogger Rajib Haider in Bangladesh. Haidar, 35, a blogger and activist calling for the execution of Islamist leaders for crimes committed in the 1971 independence war of Bangladesh, was hacked to death on February 15, 2013 near his house at Mirpur. He was the first of six secular bloggers who have been killed in Bangladesh so far. The Dhaka Special Trial tribunal handed two death penalty and several jail terms to killing perpetrators. The tribunal sentenced to death Md Faisal Bin Nayem alias Dweep and absconding Redwanul Azad Rana. Rana was considered as the mastermind of the murder while Nayeem attacked Haider with a meat cleaver. Maksudul Hasan alias Anik was given a life term sentence, Md Ehsan Reza alias Rumman, Nayem Sikdar alias Iraj and Nafis Imtiaz were given 10-year jail each, five-year imprisonment were granted to chief of militant group Ansarullah Bangla Team (ABT) Mufti Jashimuddin Rahmani and Sadman Yasir Mahmud was given three years in prison. More here. The Pakistani police arrested two suspects on January 5 in connection with the murder of three media workers of the TV channel Express News in 2014. The arrested are Tanver Nadim and Squib Ahmad Pasha, reportedly affiliated with the Lashkar-e-Jhangvi (a faction of Tehreek-i-Taliban Pakistan) and claims that they had confessed to the killing of the three media workers as well as police staff in separate attacks. Technician Waqas Aziz Khan, driver Khalid Khan and security guard Ashraf Arian were shot dead as they sat in an Express TV van on January 17, 2014 in Nazimabad, Karachi. A fourth staff member, a cameraman, was injured and survived the attack. More here. On December 23, 30-year-old journalist Mashiur Rahman Utsho was hacked to death in Rangpur city in Bangladesh. Utsho was a staff reporter at the Juger Alo daily. Unidentified assailants hacked Utsho to death after tying him to a tree in an isolated place in the Dharmadas area on Dhaka-Rangpur Highway. Police officers recovered the body on 24 December and confirmed that the death was the result of a planned murder with killers hitting the journalist in the head and hands using sharp weapons. Utsho’s colleagues said he might have been murdered for regularly writing on drug peddling, following which law enforcers busted some dens of drug peddlers and traders. On 24 December, Utsho’s newspaper published his report on how the Narcotics Department was struggling to control drug peddlers due to a lack of human resources. More here. In another incident, 45-year-old journalist Aurangzeb Sajib, went missing on Sunday, December 21 and was later found dead. He was the Dhaka Medical College Hospital (DMCH) correspondent of the Bangladesh Pratidin daily and TV stations Banglavision, Somoy, Jamuna and ITV. He was last seen on the morning of December 21, after leaving his house in Chawkbazar in Old Dhaka for work at the DMCH station on his motorcycle. Police recovered his body in the Dhaleshwari River in Munshiganj on 23 December. More here. More than 500 days after the unexplained disappearance of Ahmed Rilwan, President Abdulla Yameen of Maldives has asked the home minister to “do everything the government can” to find the missing journalist. The home ministry said in a tweet last Thursday that the president’s appeal came after Rilwan’s family sent a letter to Yameen urging him to expedite the investigation. Rilwan’s family and friends had delivered 500 origami cranes to the president’s office last week. The 29-year old journalist working for The Maldives Independent (formerly Minivan News) was last seen on August 8, 2014 boarding a midnight ferry to Malé’s suburb Hulhumalé. He is believed to have been abducted at knifepoint outside his apartment building. More here. Unidentified assailants attacked the Islamabad office of the Pakistani television channel ARY News on January 13. The attackers who were riding a motorbike, lobbed a hand grenade at the ARY News offices, Wednesday evening and fired several shots injuring a non-linear editor before security guards retaliated swiftly forcing the attackers to flee the scene. The attackers threw pamphlets claiming that the Islamic State’s Afghanistan chapter carried out the attack ‘in reaction to the channel’s coverage of the on-going operation Zarb-e-Azb’. Zarb-e-Azb is a joint military operation being conducted by the Pakistan Armed Forces against various militant and terrorist groups. More here. On December 16 the ground station of Nepal’s only Direct-to-Home (DTH) television service provider, Dish Home Media Network Private Limited, was damaged by an improvised explosive device. The damage halted DTH service in Nepal. The Communist Party of Nepal, a Maoist group led by Netra Bikram Chand, aka Biplab, claimed responsibility for the incident adding that the DTH service provider was targeted for broadcasting Indian channels. The attack completely blacked out TV service to half-a-million households in Nepal for two hours before the service providers resumed partial operation with less than one-third of the normal channels. More here. In recent months, Nepal has seen a rise in the number of attacks on the journalists and media including torching of a delivery van of Kantipur Publications, an attack on the regional chief of the Avenues Television, Krishna Khanal, in Nepalgunj and Kantipur journalist Abadesh Kumar Jha in Biratnagar. In 2015, Nepal experienced the devastating earthquake that killed more than 9,000 people including two media staff. Nepali media professionals played an exemplary role in the aftermath of the disaster despite suffering from it themselves. Also in 2015, the Constitution of Nepal 2015 was promulgated. The Federation of Nepali Journalists (FNJ) recorded 136 incidents of press freedom violation in 2015. A total of 85 per cent of the cases were recorded during the latest political protest, the Madhesh Movement. Read the FNJ statement here (in Nepali). Also, find the Annual Media Report by the Freedom Forum Nepal here (PDF). The Himalayan Times called 2015 a harrowing year for Nepali media. 2015 was a hugely eventful year for free speech in India. There were legal, political and technological developments that set the tone for these issues to be debated all year round. And journalists were at their most vulnerable, with deaths, attacks, threats, sedition and defamation cases against them at an all-time high. This report by the media watch website The Hoot presents the year’s leading challengers of free speech, statistics on free speech violations, a calendar of stand-out events, a summary of important legal developments and government actions regarding free speech and an overview of free speech in the online and mobile realm. Read here. According to research by Pakistan Press Foundation (PPF), two media personnel were killed, while six others were injured and many were manhandled during 2015. In addition 11 media personnel were booked in false cases and equipment of many media workers was damaged or destroyed. Television channels remained the primary target of violent attacks. The PPF says, federal or provincial governments did not adequately respond to any of the fifteen incidents of violence against media personnel during the year. Not a single case relating to violence against media resulted in arrest and prosecution, despite repeated assurances by government ministers. Read here (PDF). The sudden ban on the use of popular social media platforms and the public reaction thereto are easily the key focus of the Bangladeshi information and communication sector in 2015. OnNovember 18, the government blocked the popular social media website Facebook and the instant messaging applications Viber and Whatsapp on security grounds. Read more. A record number of journalists are behind bars in China, and the number of journalists jailed in Turkey and Egypt also rose dramatically in 2015, the Committee to Protect Journalists (CPJ) has found. Overall, the number of journalists imprisoned around the world decreased modestly from record levels recorded in the past three years. The CPJ identified 199 journalists currently imprisoned because of their work in 2015, compared to 221 the previous year. In South Asia, nine journalists are in jail – five in Bangladesh and four in India. Read more. The 2015 World Press Freedom Index, published by Reporters Without Borders (RSF) highlights the worldwide deterioration in freedom of information in 2014. According to the report factors causing a decline in media freedom include current wars, the growing threat from non-state operatives, violence during demonstrations and the economic crisis. Two-thirds of the 180 countries surveyed for the 2015 World Press Freedom Index performed less well than in the previous year. The annual global indicator, which measures the overall level of violations of freedom of information in 180 countries year by year, has risen to 3,719, an 8 percent increase over 2014 and almost 10 percent compared with 2013. According to the report, this affected all continents. 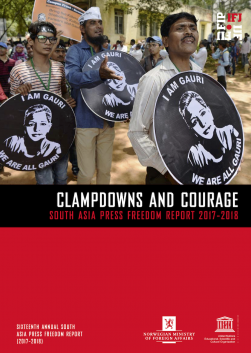 In South Asia, Nepal, placed 105th on the index is up 15 places thanks to a drop in violence by the security forces against journalists, especially at demonstrations. This improvement remains to be confirmed in 2015. 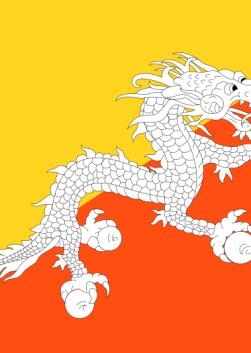 Bhutan scores one place higher than Nepal as 104th while Maldives is ranked 112nd, Afghanistan 122nd, India 136th, Bangladesh 146th, Pakistan 159th and Sri Lanka 165th. More here. An international report on media and the global migration and refugee crisis, issued on the International Migrants Day (December 18), says journalists often fail to tell the full story and routinely fall into propaganda traps laid by politicians. The 100-page report, Moving Stories, was published by the Ethical Journalism Network (EJN) and reviews media coverage of migration in the European Union and 14 other countries across the globe. For South Asia, the report has chapters on India and Nepal. More here and you can download report here (PDF). Asia Journalism Fellowship: Applications are now open for the 2016 round of the Asia Journalism Fellowship (AJF), which will run in Singapore from July 18 to October 7, 2016. The Fellowship brings around 15 journalists from across Asia to Singapore for three months. Supported by Temasek Foundation and Nanyang Technological University, AJF fully sponsors Fellow’s participation. The Fellowship is open to mid-career Asia-based journalists with at least five years of experience.Past fellows include journalists from Afghanistan, Bangladesh, Bhutan, India, Nepal, Pakistan and Sri Lanka. The deadline is Feb. 14, 2016. More here. South Asia Media Fellowship on Migrant Labor: Print, television, radio and web journalists covering migrant labor issues from Bangladesh, Nepal, India, Pakistan and Sri Lanka are eligible for Panos South Asia (PSA) Media Fellowships on South Asian Initiative for Migrant Labor in 2016.The fellowship will support reporting on migrant labor in the region. The fellows will also participate in an orientation workshop in February 2016 in Kathmandu, Nepal, and travel to select destination countries to understand migrant-related issues from a South Asian perspective. All expenses related to travel and accommodation to Kathmandu and labor destination countries would be covered by PSA. The deadline is Jan. 24, 2016. More here. South and Central Asia Digital Media Co-Op: The Digital Media Co-Op to Illuminate the Stories of South-Central Asian Diaspora Communities in the United States. South and Central Asia Digital Media Co-Op is a program by the International Center for Journalists (ICFJ) for journalists of South Asia and Central Asia that aims to build bridges between South and Central Asia and U.S. media outlets. The opportunity will expose participating journalists to professional counterparts and practices in the United States including advanced storytelling techniques rooted in social media, which will enable journalists to produce work that engages the youth in their countries.The program will select 12 English-speaking journalists from 13 countries in the South and Central Asia regions. Journalists and media innovators from Afghanistan, Bangladesh, Bhutan, India, Maldives, Nepal, Pakistan and Sri Lanka are invited to apply. The deadline is Jan. 31, 2016. More here.